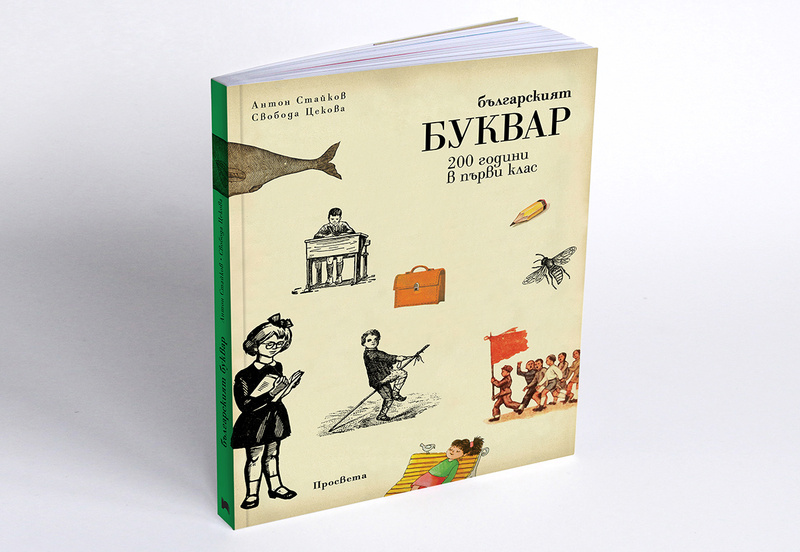 “Bulgarian primer. 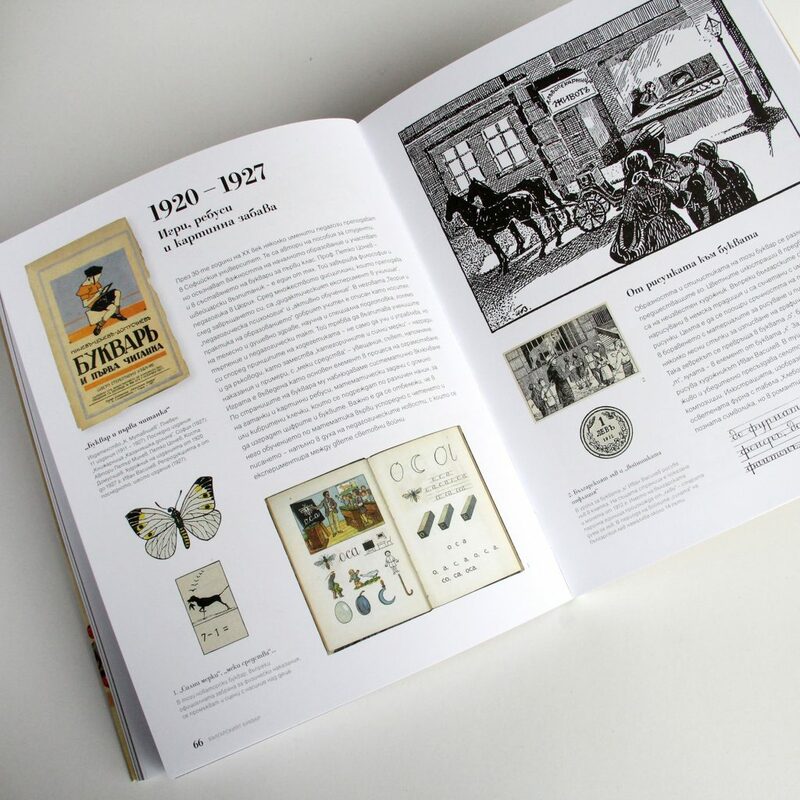 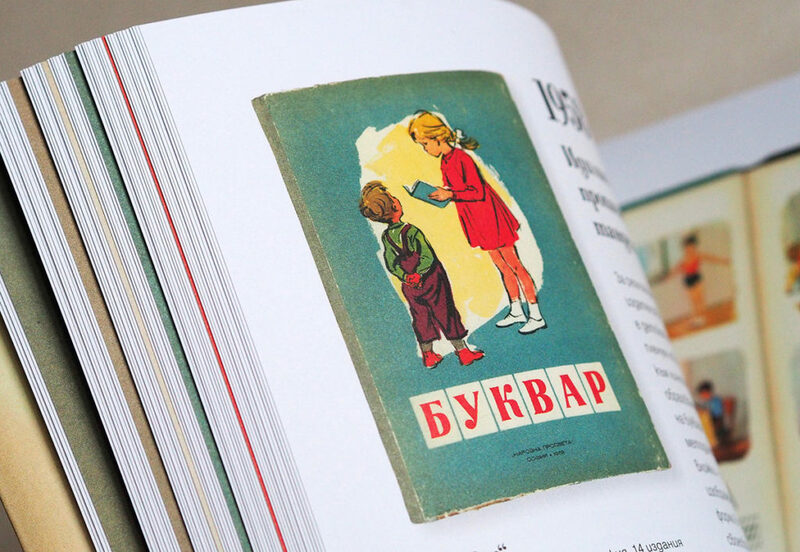 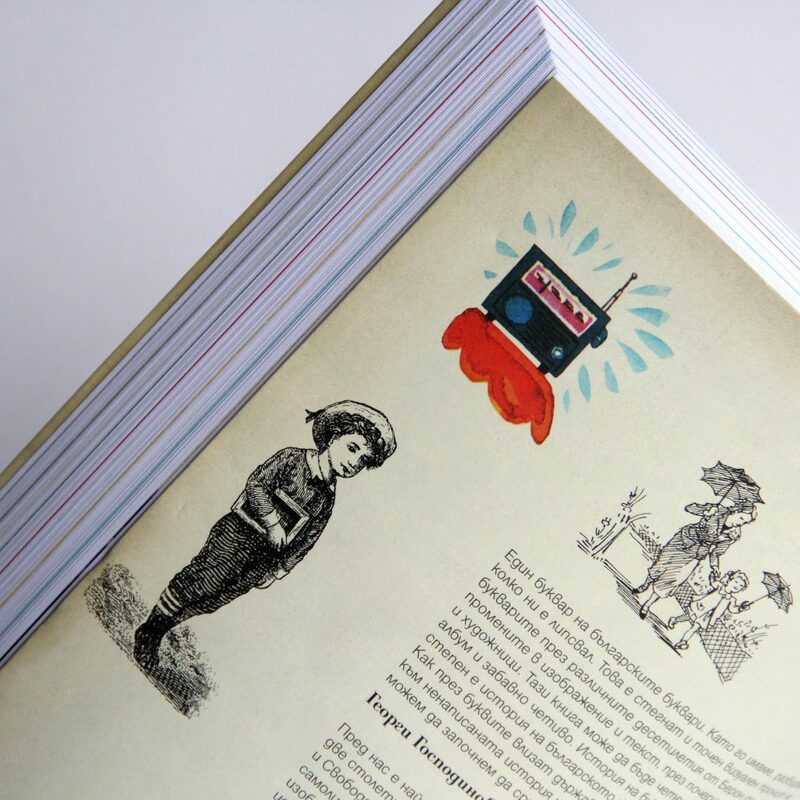 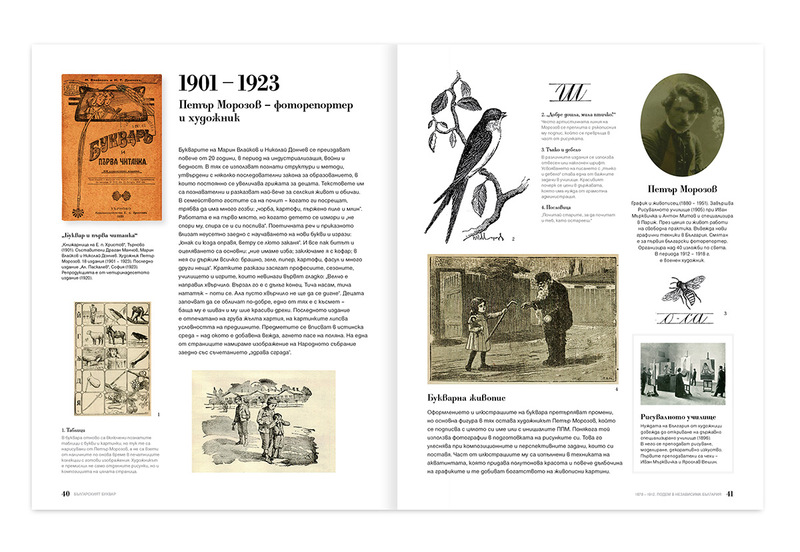 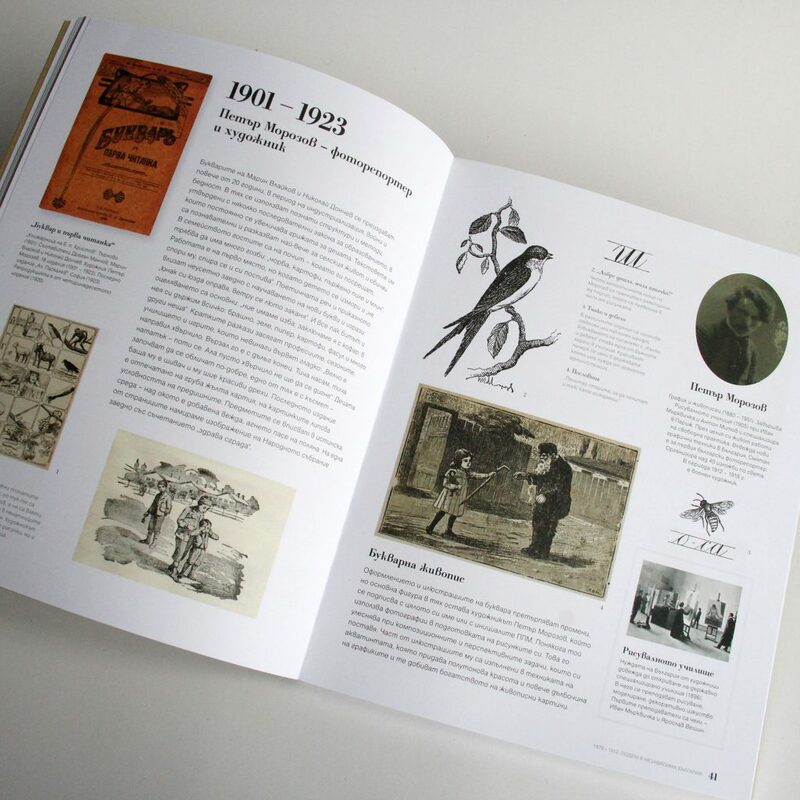 200 years in first grade” mixes illustrations from primer books, photographies from XIX to XXI century, portraits and short description of important writers, artists and teachers. 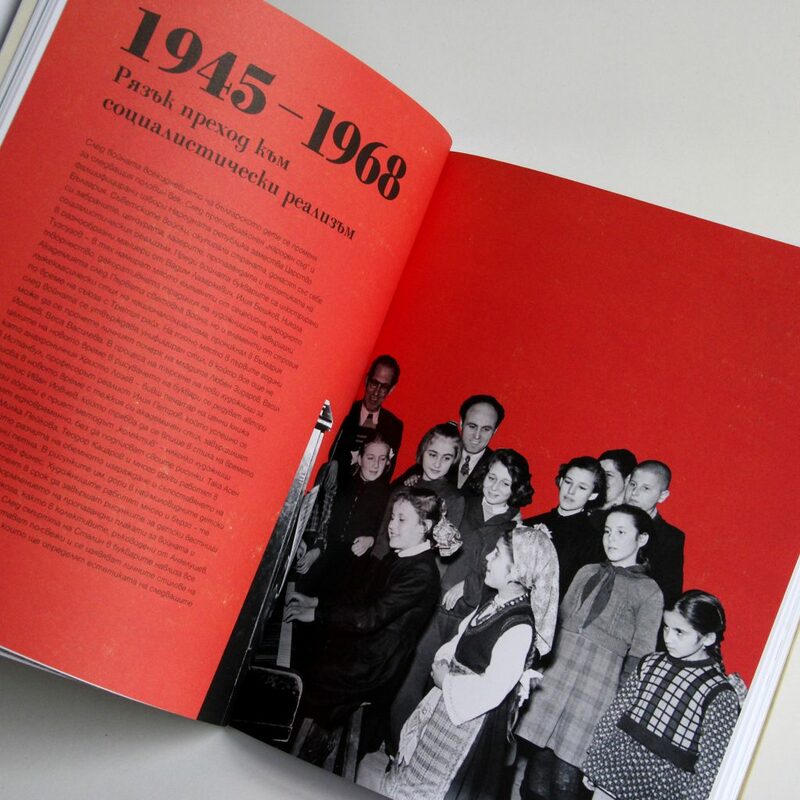 Copyrights belong to: Anton Staykov, text and conception, 2015 Svoboda Tzekova, conception, book and cover design Nadezhda Radulova, texts in chapters 6 and 7.